Saving Gotham City from the evil Joker and Penguin can be a stressful job. 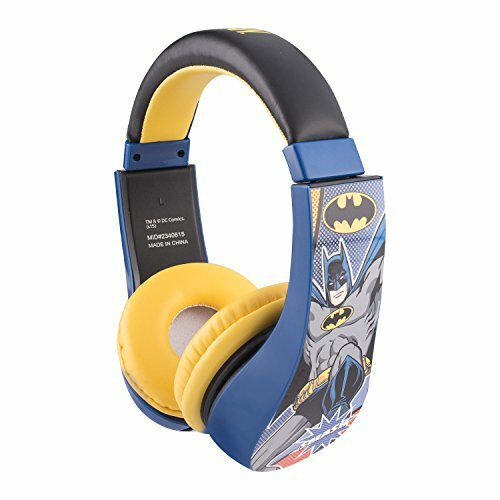 Which is why Batman sports these bat-tastic kid friendly headphones! These over-the-ear headphones offer soft, cushioned ear pieces to fit your individual ears. In addition to delivering exceptional sound, these headphones come built with volume limiting technology to deliver your music at a safe volume level. Recommended for ages 3-9. Backed by a 1 year warranty. If you have any questions about this product by Sakar, contact us by completing and submitting the form below. If you are looking for a specif part number, please include it with your message.